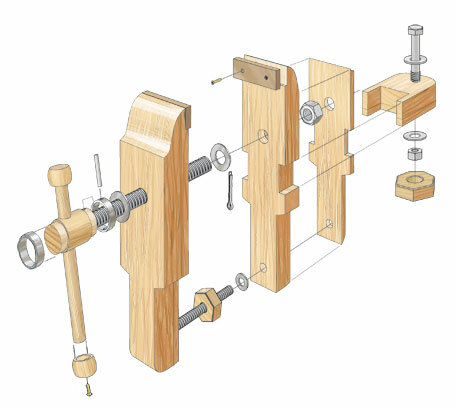 The design is based on a traditional style of vise once common in Europe. 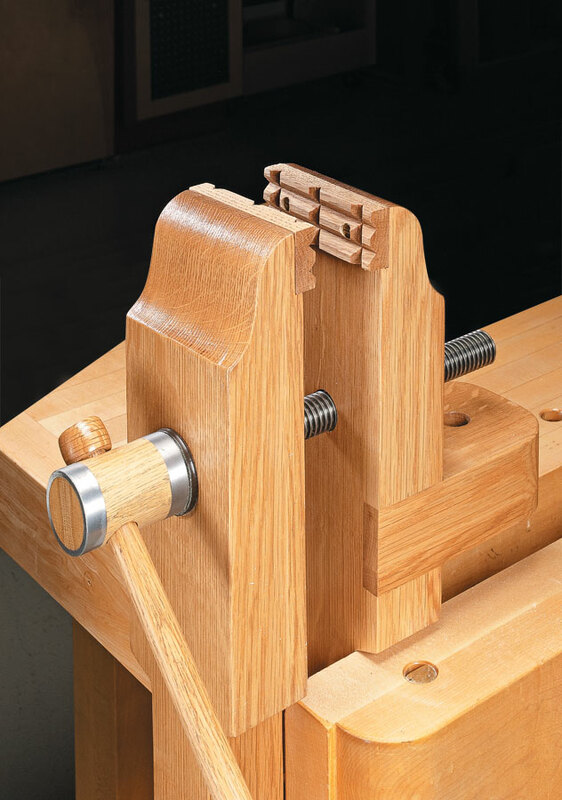 Stout hardwood jaws and rugged Acme threaded rods deliver all the clamping force of a standard vise but in a compact package. 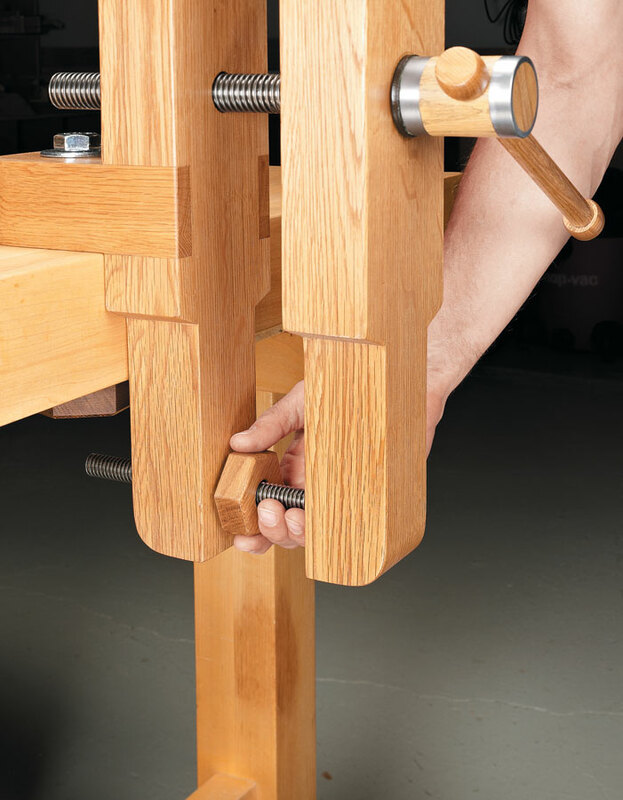 The narrow, profiled jaws let you work on a piece from a variety of angles. 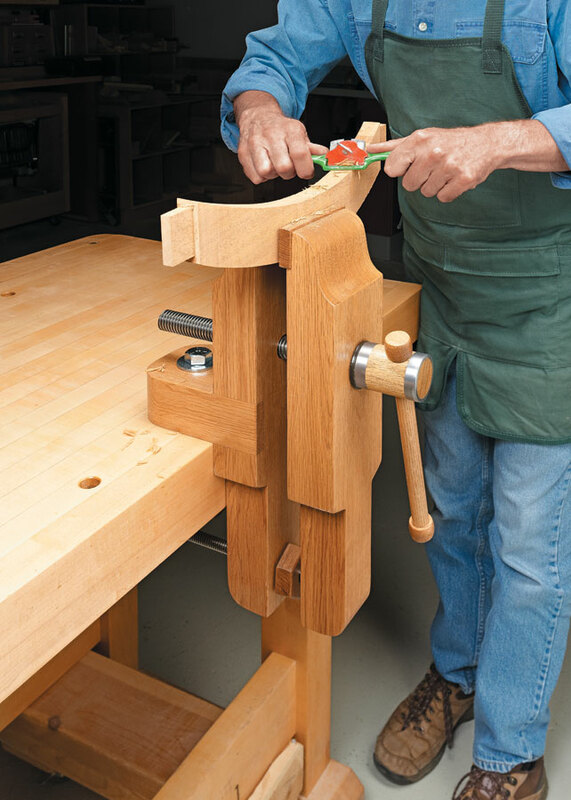 Perhaps best of all, the vise is elevated so it’s a real back-saver. 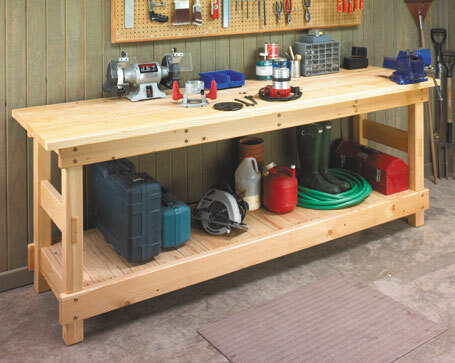 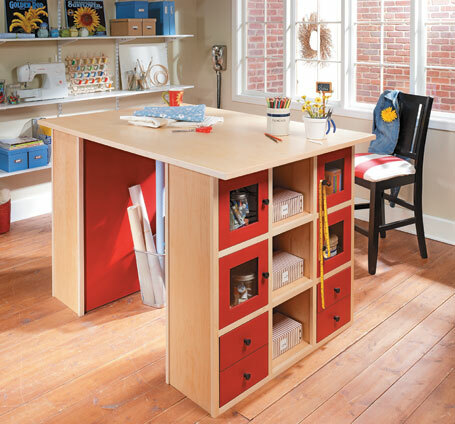 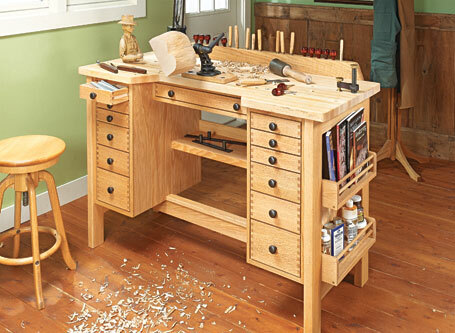 The plan provides three ways to attach it to just about any worksurface or bench.